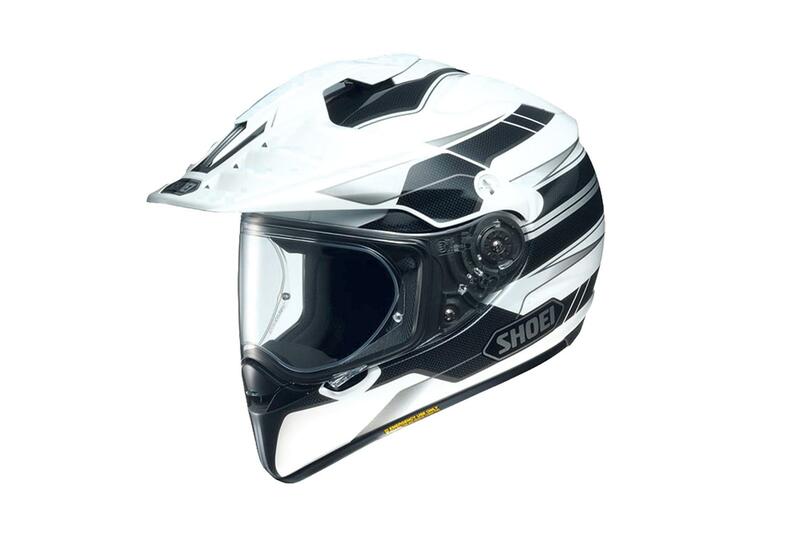 I’ve used this helmet for a mix of on and off- road activities and it’s impressed me with its lightweight feel and minimal wind noise. Prior to using this helmet, I used Arai’s Tour-X3 and didn’t like it due to the excessive wind noise and the way the wind blast gets under the peak and pushes your head backwards. The Shoei is different and the Japanese engineers have clearly spent a lot of time minimising its effect, in terms of fast road riding performance, and the wind seems to flow through the very gappy peak design well. The visor shuts securely, but having got so used to Arai visors that you can position anywhere, I found the step to the first opening spot from fully closed too big.